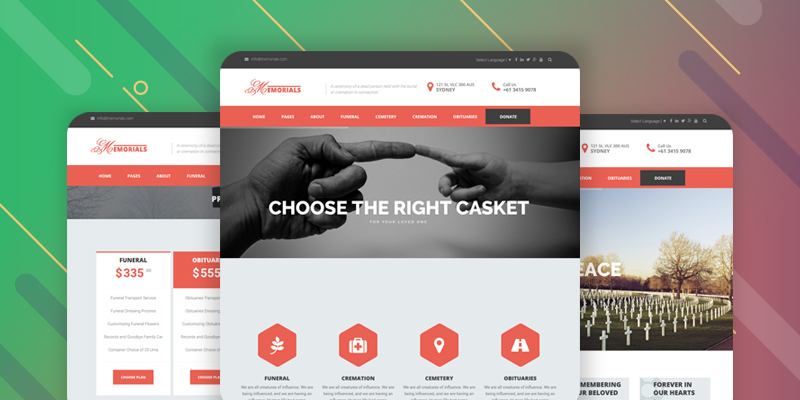 Memorials – Funeral & Cemeteries WordPress Theme is a Clean Designed, Multipage Theme for Funeral and Cemeteries Services. 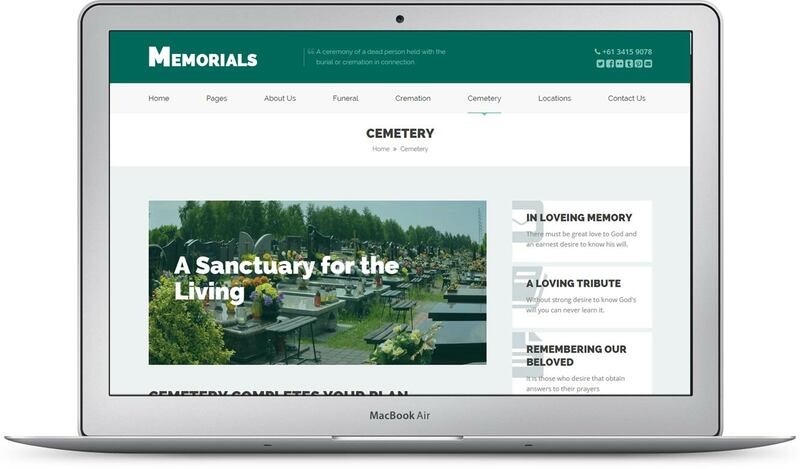 Memorials WordPress Theme is created for Funeral and Cemeteries services and funeral homes. Memorials provide Shortcode, About Us, Funeral, Cremation, Cemetery, Contact Us, pages. 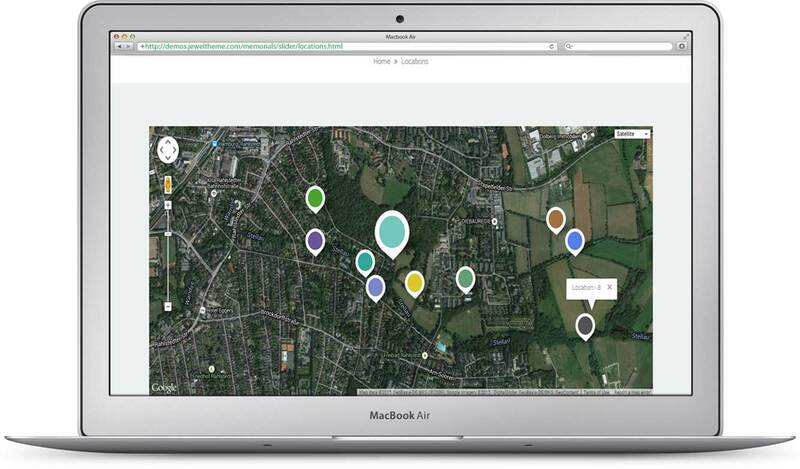 Locations System will help to find the locations easily via Google Maps. 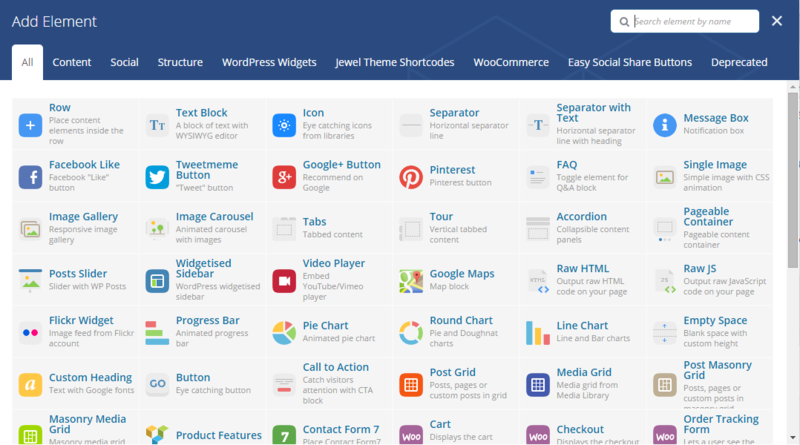 We have included Visual Composer Page Builder in this Theme. Create any type of page with drag and drop page element. 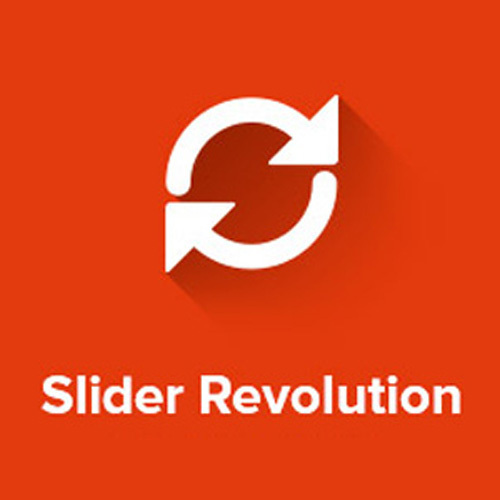 Create awesome slider with drag and drop your slider elements. We have added this premium plugin to you. 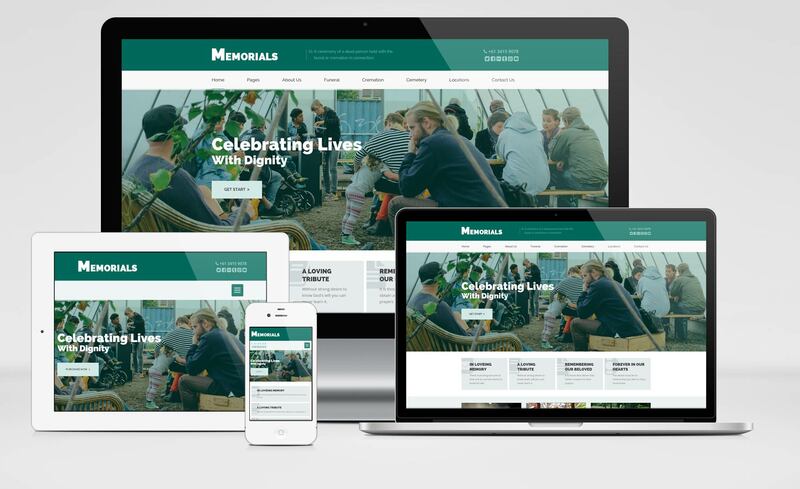 Memorials is a 100% pixel perfect and 100% Responsive design. This Theme compitable with any type of mobile, tablet, iPhone devices. We have included modern style into blog post area. This is the winning choice for your next Website Project. We have included an awesome Location Page in this Website Template. Google Maps helps us to do this.